Compact design allows clinicians to measure with only one hand. Ideal for measurement in diagnostics and rehabilitation. 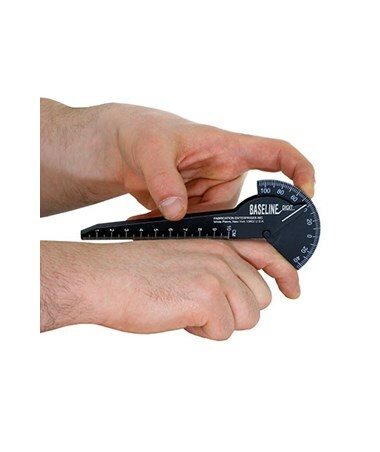 The Baseline Finger Goniometer- 1-Finger Design measures range-of-motion (ROM) of finger joints (metacarpophalangeal and interphalangeal) and other small joints including toes. Its unique design allows measurements to be taken by the therapist using only one hand; this frees up the therapist's other hand to stabilize the patient during measurement or to record the measurement. The 6 inch metal and plastic goniometers each have a head with opposing 110-degree flexion through 40-degree hyper-extension of the finger in 5-degree increments. The linear scale on arm measures in inches and centimeters and has 10cm / 4" scale. 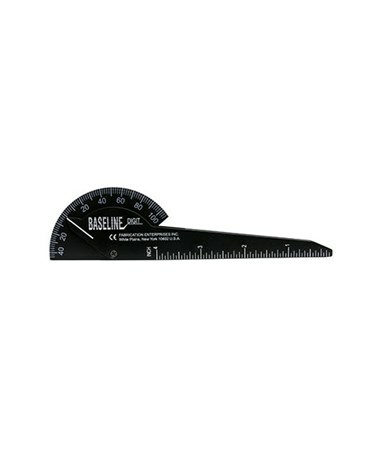 This model is available in two different versions, a plastic and metal six-inch goniometer. 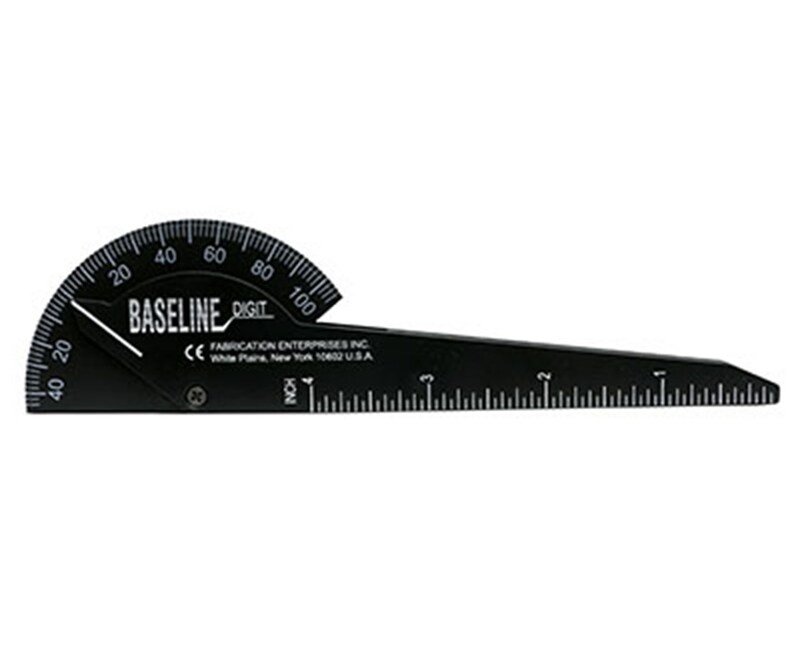 The Plastic goniometer is opaque black with easy-to-read white markings. (12-1014): Baseline Finger Goniometer - 1-finger Design - Plastic. (12-1016): Baseline Finger Goniometer - 1-finger Design - Metal. (12-1014-25): Baseline Finger Goniometer - 1-finger Design - Plastic. (12-1016-25): Baseline Finger Goniometer - 1-finger Design - Metal.